The calendar is finally here and for sale! 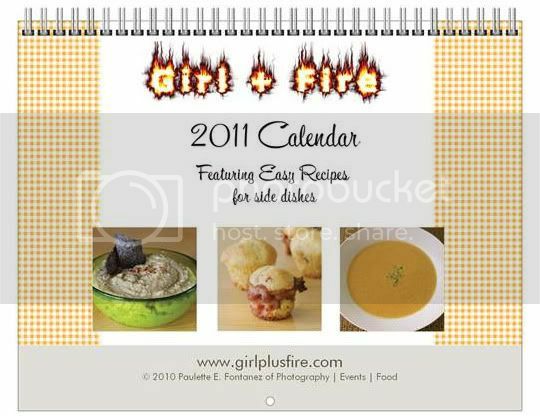 Get your copy of the limited edition Girl + Fire calendar, featuring 12 full-color photos with step-by-step recipes. These easy-to-make dishes include items not seen on the blog, like pumpkin tamales and mom's own family recipe for arroz con gandules. $15 includes free shipping. They make easy gifts. Everyone in my family is getting one—but only if Santa says they've been good!